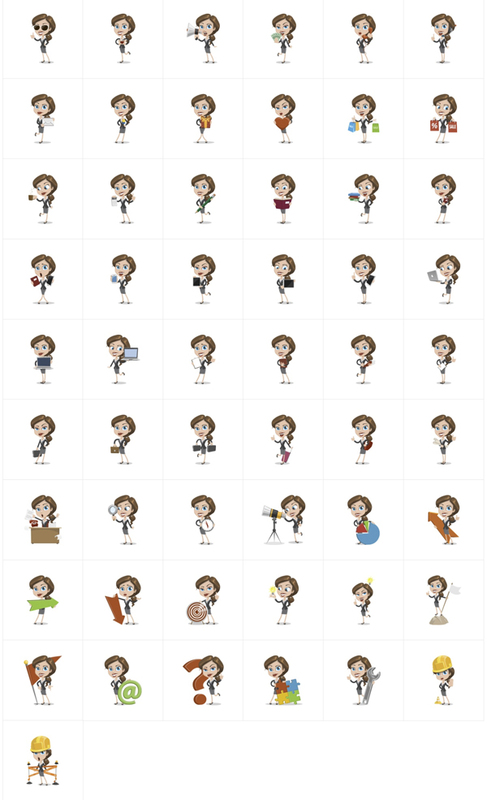 A Happy Business Woman Cartoon set. This business girl is designed to be cute and friendly. She is smart and beautiful – she will definitely grab the attention of your visitors. Because we’ve made this business woman with vector shapes, you can easily change the colors to fit your design scheme, or even create your own poses. She is available in 112 premade poses that are perfect for any business related design. There are presentation poses, many concepts poses, and different emotion poses.